On January 31 Raffaele Russo, 60, an Italian national from Naples, travelled in a rented white Honda CRV 40 kilometers from his four star hotel in Ciudad Guzmán, to the town Tecalitlán in southeast Jalisco. 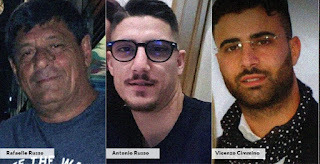 He left behind his son, Antonio Russo, 25, and his nephew, Vincenzo Cimmino, 29. Apparently, his plan was to explore opportunities to sell light machinery. During the trip Raffaele was in contact with another of his sons, Francesco, who was in Mexico City. Their last communication was abruptly cut off at 3 pm on the 31st. Francesco was then unable to reach his father, and grew concerned. He contacted the car rental agency, which said that the last GPS reading was from 3.23 PM. Just before this, Rafaelle also sent a WhatsApp message to family members in Italy saying that police officers were following him. Francesco then called his brother and cousin in Ciudad Guzmán, and asked them to go look for his father. They arrived in Tecalitlán in a rental vehicle similar to Raffaele's around 6 pm on that same night, and asked after him. At about 7 pm they stopped at a gas station on Highway 110, on the outskirts of town. “I'm calling to ask if you’ve arrested two Italians who are looking for someone else,” he said. Francesco called back in thirty minutes. This time, the woman at the police stations denied everything that she had said in the previous call. Francesco then called the rental agency for a GPS reading on the vehicle that Antonio and Vincenzo were travelling in. The last reading was two kilometers ahead of the last point recorded by Raffaele’s vehicle. That same day, the Jalisco Prosecutor's Office intervened, and summoned all of the members of the Tecalitlán police force, interrogating them in the main plaza. They then took some of the officers back to the state capital, Guadalajara, claiming that is was for training purposes, and that they were not being detained. Specifically, he accused Russo of unloading generic, knockoff Chinese generators and soldering equipment while claiming that they came from global brands such as Bosch and Caterpillar. Sánchez also referenced inconsistencies in Fernando’s account which, according to the state prosecutor, hindered the search. Though such activity by no means warrants murder, Sánchez’s theory may hold some water: he has indicated that the elder Russo was arrested three years ago in Campeche for similar activity. Francesco then returned to Italy, where he made it very clear that, in his view, it was the municipal police in Tecalitlán who took his father, brother, and cousin. Further, he complained that the authorities in Mexico were trying to criminalize his family. The Italian embassy, responding to pressure back home, got involved and started to lean on the Mexican government for some kind of action. Then on Saturday, February 24, Sánchez announced that four Tecalitlán police officers had been detained, and that these individuals confessed that they had handed over the Italians to an organized crime group. He also said that the director of the Municipal Police, Hugo Enrique Martínez Muñiz, as well as two other members of the force, were being sought. What happened next would not be earthshattering news in many countries, but in Mexico it was a small piece of history in the making, because back in 2008 Mexico announced that it was transitioning its judicial system to an oral, oppositional format, similar to what’s used in the United States and the British Commonwealth. The new criminal justice system was supposed to be in place by its constitutionally imposed deadline on June 16, 2016, but the shift has been slow and uneven. Where it is in place, it can best be described as an oral/oppositional system with “Mexican characteristics”. Nonetheless, on Friday, March 2, in a courtroom in Ciudad Guzmán designed to accommodate the new process, the judge from the Sixth District, Damián Campos, listened to testimony from the defense in open court. The identity of the four defendants was protected, with the surnames redacted. They were known only as Emilio “N”, Salomón “N”, Fernando “N”, and Lidia “N”. Further, while on patrol, Emilio “N” apparently went with his boss and overheard when the commander asked the motorcycle patrol consisting of Salomón “N” and Fernando “N” to meet on Juárez Street, one block from where Antonio Russo and Vincenzo Cimmino were fueling their vehicle. He then ordered the patrol to verify if at the gas station there was a white Honda CRV with two Italians on board. The two officers went to the gas station, corroborated the information, and via radio informed their commander, who asked them to take the two Italians to the exit towards Jilotlán de los Dolores. One of the officers commanded the Italians to follow him. The commander's truck then followed behind. Back at the police station, Lidia "N" has heard that her colleagues detained two foreigners. Naturally, when Francesco calls to ask after them, she says that she will have more information in half-an-hour. However, Commander Hilario then orders Lidia not to say anything, and upon receiving the second call from Francesco she denies what she said earlier. At 11 pm of that same day, Hilario meets with Lidia, Emilio, Salomón and Fernando, and orders them not to say anything about what happened. He then gives them each 1,000 pesos (US$55). This has since resulted in people saying that the Italians were “sold” for a pittance, but clearly this occurred in the context of a local police force under the command of a cartel. The money was not a serious consideration – this was never not going to happen. Things get interesting when the four police officers are asked to testify in open court. Remember, this is a new phenomenon in Mexico – usually a defendant is present only to hear charges, or to be informed of the status of a case, and never to openly face and respond to allegations. As often happens in courts the world over, the defendants changed their story. Emilio, Salomón and Fernando now say they know nothing about the Italians. Instead, they claim to have been tortured at the Police Academy in Guadalajara. Rather than receiving “training”, as prosecutor Sánchez claimed, the defendants say that they were punched in the stomach and suffocated with plastic bags, forcing them to sign confessions that they never read. For her part, Lidia says that the police threatened to kill her family. Jumping on this, the defense requested that the confessions be thrown out. The judge demurred, indicating that there needs to be an investigation to determine if the police officers were in fact tortured. After almost 10 hours in court, the judge determined that the three men should go on trial for the forced disappearance of Antonio and Vincenzo. There can be no charges in the disappearance of Raffaele, because it is still unknown how he came to be missing. The three policemen could each be sentenced to 40 years in prison. As for Lidia, the judge determined that she wasn’t a party to the disappearance. However, she did hinder the search by lying, so her sentence could range from two to nine years in prison. The trial of the agents will begin sometime after September 1. A lawyer for the Italian family claims that investigators have determined that the three men are still alive. "For the Mexican authorities our co-nationals are alive and the investigative activity is moving in this direction," said Claudio Falletti. However, in the eyes of many in Mexico, given what is known of the CJNG’s brutality, and the lack of ransom demands, it seems likely that the three men are dead. Jalisco District Attorney Raúl Sánchez is continuing on his campaign to tie the Russo and Cimmino families to organized crime. On February 20, he announced that he’d requested a criminal background check on the men from Italian authorities. The next day, the Mexican press claimed that the Italians worked for a low-level offshoot of the Magliari, infamous for selling bogus merchandise. If this were true, it could have exposed them to danger in an area that is notorious for cartel activity. 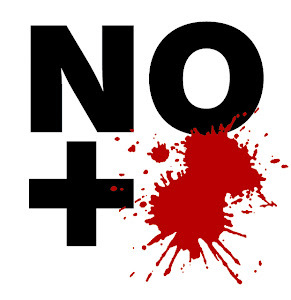 But this by no means excuses the apparent collusion between the Tecalitlán police and the CJNG, one of the most powerful and violent criminal organizations in the world. In the meantime, the family of the three missing men has offered an award of two million pesos (US$110,000) for any information that might lead to their return. They have also taken the case to the Inter-American Commission on Human Rights (IACHR), which has called the situation of the three missing men serious and urgent, and has requested that Mexico adopt the necessary measures to protect their rights to life and personal integrity, and to guarantee an effective search. Sadly, as with most declarations from human rights organizations, the request is toothless and will be ignored. However, the movement on the judicial side – where four police officers have been charged, and three more remain at large – is more promising. It has moved quickly, and with transparency – something almost unheard of in Mexico. It is also demanding a higher level of accountability on the part of the state. As it stands, most Mexican judges strongly support the transition to the oral adversarial system. In fact, this support grew from 76 percent in 2010 to 93 percent in 2016. But Mexico is at a crossroads, because the public will be deeply frustrated should criminals be set free due to the malfeasance on the part of the authorities. The idea, of course, is for the police to clean up their act, but torture, threats, and other abuses are rampant. This new approach demands a lot of a system that is inefficient and crippled by endemic corruption. It is no longer good enough for the state to collect evidence, put it in a file, and give it to a judge. Prosecutors must now present evidence in open court in an oral format, allowing the defendant to challenge its admissibility. The state has to reveal the source of its evidence, and Mexican prosecutors must present it in a way that gives the judge a chance to assess the credibility of the witness. Sadly, the temptation to revert to authoritarianism as a panacea for chaos remains, as is evidenced by the new Law of Internal Security, which formalizes the power given to the Mexican military as a domestic police force.